Looking for a great gif for dad or your favorite golfer? Well, look no further. We have you covered with some great deals on our Golfshot apps and tee times, as well as fantastic offers from our partners. Take a look at the items below to see which one is best for your favorite guy or gal golfer! 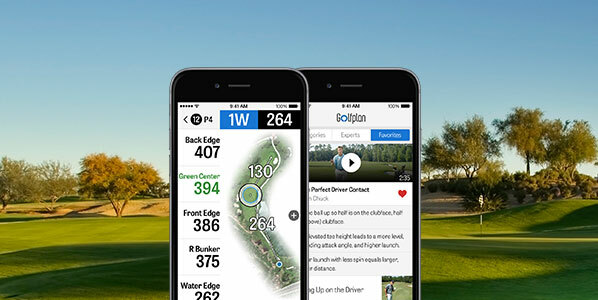 Score Golfshot Pro for just $17.99 or try a full year of Golfplan for just $8.99! Get real-time distances, dynamic flyovers, and more with Golfshot Pro, and take your game improvement even further with Golfplan’s extensive and personalized golf instruction videos. Finally, you can get elite-quality golf sunglasses to protect your vision without paying hundreds of dollars. These REKS sunglasses LUMOLUX™ polycarbonate polarized lens eliminate 99% of glare for superior visibility and offer 100% UV 400 protection. Get yours for the special Father’s Day pricing of just $50.00. Click here to order! Trying to play golf with arthritis pain? The Copper Tech Golf Glove will help you play 36 holes a day pain free! Click here to order! Golfshot members get an exclusive offer on an entire set of men’s 2016 TaylorMade M2 Golf Clubs and bag for only $999.00! Purchase a complete set of very gently used* TaylorMade M2s valued at over $2,200. Quantities are limited and only available in the U.S. Sale ends Monday, June 19th. Click here to order! The Wellputt Pro Speed Putting Mat is the last putting mat you’ll ever need. At 13 feet long, it fits pretty much anywhere, even in the smallest apartment. Line up your putter face with help from the WELLPUTT PRO SPEED PUTTING MAT and start working on perfect speed to sink a ton more short putts! Click here to order! The Power Package will transform your game by helping you feel the correct movement of the arms and torso. This new and proven training aid will help you overcome the seven biggest faults in golf. Get your for just $67.00 and get a $25 gift card to golfballs.com+ free shipping. Click here to order! The 3Bays GSA weighs just one-third of an ounce and will help you swing with “robot-like” consistency. YES! This tiny device will help you swing with more consistently than ever before. Click here to order!